Amongst the wide range of supermarkets available all over the world to make our daily food shopping (Walmart, Tesco, Spar, Aldi, etc. 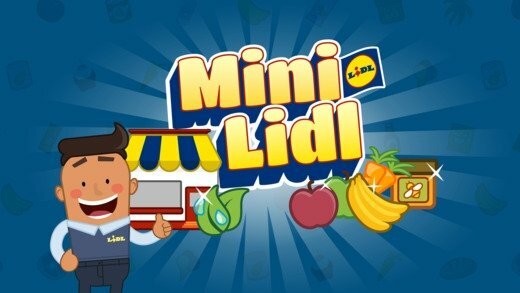 ), Lidl has become one of our favorites thanks to its high-quality products at low prices. With that philosophy, the German store has managed to win over a legion of loyal customers that dearly enjoy the promotions offered every month. 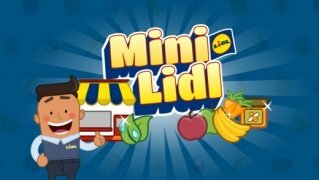 Become the owner of a Lidl store. But now, thanks to My Lidl Shop, you can take a place on the other side of the counter and become the perfect manager to make sure your customers are as satisfied as you in real life. 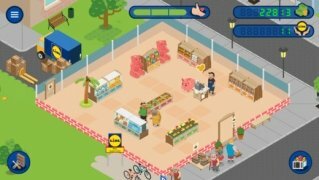 It's a tycoon simulation game available for iPhone and iPad (also in APK format for Android) in which you'll have to build a Lidl store from scratch, expand it with new products and lure in hundreds and thousands of customers. 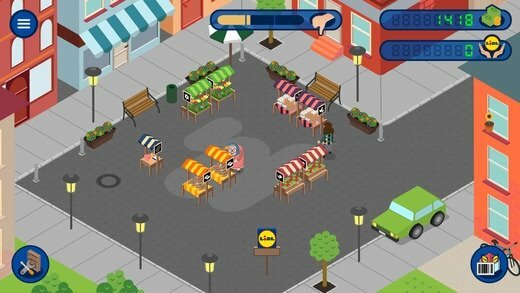 Build your store and expand the shop to increase your range of products. Make sure that all your food is fresh and in good conditions, getting rid of out-of-date food. Increase your level by means of coins and trophies to be able to access new products. There's no better publicity than a satisfied customer: apply that principle to the management of your store. Take a look at your customers' stats and check what products are more successful amongst the consumers.